We hold enough expertize in importing, supplying and exporting of a wide range of Snakes & Their Bite Charts. 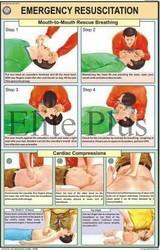 These charts are highly acclaimed by the clients and demanded in the hospitals, health centers and nursing homes. With the help of our procuring agents, we sourced these charts from some of the leading vendors so as to ensure their quality. 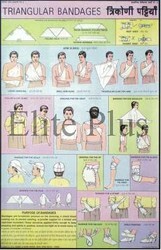 We are providing Roller Bandage Charts to esteemed customers so as to fulfill their varying needs. It is sourced from the reputed vendors which helps us to ensure its authenticity. Offered chart is drawn on the qualitative paper using suitable color combination so that all the information can be conveniently read. 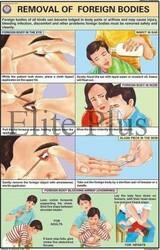 We are providing this product at affordable price range. 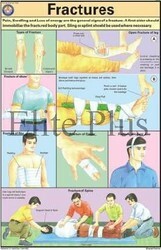 We hold immense expertize in offering a commendable range of Triangular Bandages Charts. It provided to the clients at affordable price range. 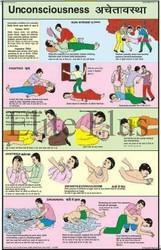 Offered chart contains highly authentic information and owing to its big size, it can be easily read. 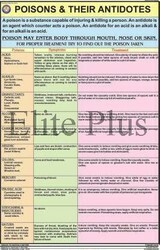 In order to ensure durability, this chart is drawn on quality-approved papers with special colors combination. 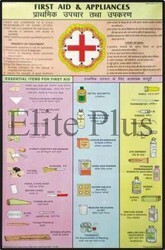 To cater to the expectations of our customers, we are providing them Poisons and Their Antidotes Charts which are sourced from the leading vendors. 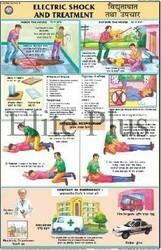 These charts are designed as per the special requirements of hospitals and nursing homes by our vendors. We checked their papers and information so as to suit the expectations of our customers all over the globe. Our firm has gained recognition all over the world for importing, supplying and exporting of a commendable range of Outline of First Aid & Appliances Charts. 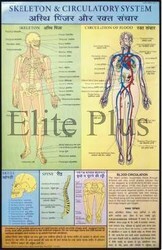 Offered chart is widely demanded in hospitals, nursing homes and health centers. We collect if from the leading vendors of pour domain so as to make it highly suitable or our clients.